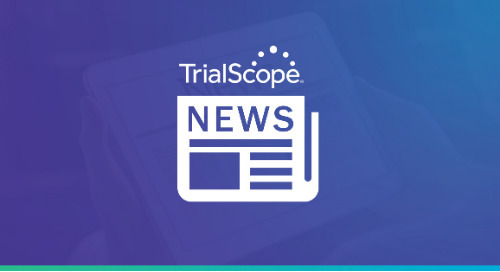 JERSEY CITY, N.J., May 24, 2017 – TrialScope, the global leader in clinical trial transparency and compliance solutions, today announced the release of its second Clinical Trial Disclosure Maturity Survey for clinical trial sponsors to perform self-assessments of their disclosure practices. TrialScope simplifies the complexities of clinical trial transparency. TrialScope’s award-winning, proven solutions have been implemented successfully and rigorously tested in the most complex environments and are managing disclosures for sponsors that are responsible for over 35% of industry sponsored clinical trials posted on clincialtrials.gov. The company’s market-driven solutions and expertise enable sponsors to improve performance, mitigate compliance risk, and ultimately optimize efficiencies with clinical content lifecycle management tools, expertise and processes. TrialScope technologies are offered via a validation-ready SaaS platform hosted in a private cloud. The post TrialScope Launches Second Global Clinical Trial Disclosure Maturity Assessment appeared first on TrialScope.